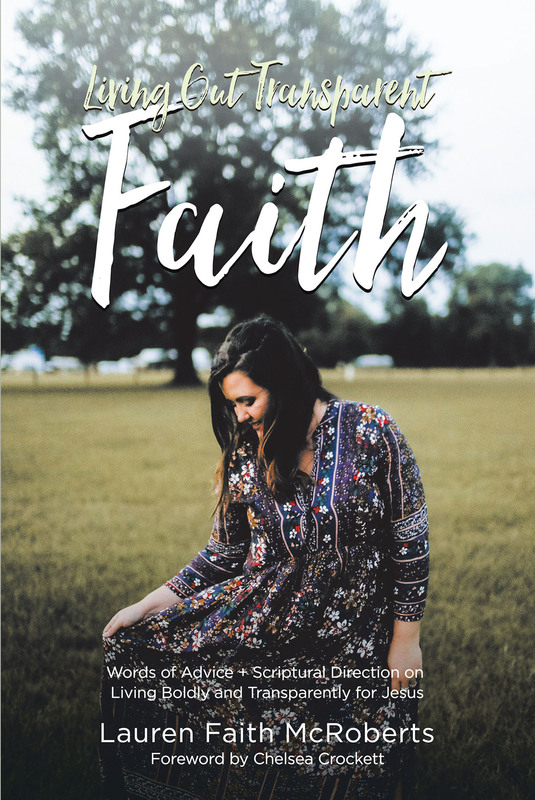 With many laughs, long nights, deep thoughts, and tears, Living Out Transparent Faith became a reality for the, at the time, sixteen-year-old Lauren Faith. Now, don't let her age fool you. In this book, she tackles issues of all ages. Between these covers, you will find real, raw stories and advice on how to live out your faith transparently for Jesus. From relationships, loneliness, and finding joy to her personal battle with depression and anxiety, nothing is held back in how to conquer these trials we face as Christ followers. Lauren shares her trials, her triumphs, and her real struggles. She not only gives personal advice but also shares straight from the Giver of Life Himself in scripture and what the Bible says about these issues we so fervently face in today's modern society. Her prayer for you as you read these words Jesus so faithfully has entrusted her heart with is that you would open your mind and heart to receive whatever He has for you.